HiddenFees was formed to offer a unique reference point on the extra fees you incur without realising. Welcome to HiddenFees, your online guide to avoiding unexpected additional charges for goods and services. Unpleasant at the best of times, in this current financial climate, hidden fees are an unnecessary drain on your precious finances. Our writers have researched the problem for you so please do take time to browse the site. We think it offers one of the best guides online and it could save you hard-earned cash! Perhaps one of the best-known sectors for unwanted charges is 'Banking' and 'Insurance'. Find out what you can do to avoid additional financial charges whether it relates to your credit card, life insurance or spending money overseas. Read about the possible financial pitfalls relating to mobiles and broadband under 'Communications' and avoid possible penalties by studying the section on 'Property and Real Estate.' Beware the traps waiting you when you are unsuspectingly shopping or enjoying a holiday by checking out the sections on 'Shopping' and 'Travel and Leisure'. You can also take advantage of our insider knowledge to ask any questions you may have that aren't already answered on the site or share your own hints, tips or horror stories by clicking on the 'Tell us your story' link. 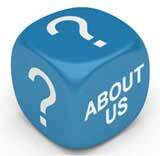 We hope that you find the site useful and that it offers you money wise practical help in avoiding hidden fees. HiddenFees was founded by John Rowlinson, the founder of PtS. John, through PtS, is involved in a number of ventures including software and property companies. A percentage of revenue from these activities goes towards funding HiddenFees and a number of similar sites.